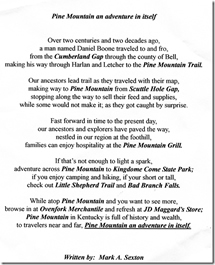 The Letcher County Mountain Heritage Festival was first celebrated in 1983. The year before the ideal for a festival began with a county wide pig roast, coordinated by the county judge, fiscal court, and county treasurer. Advertisement was placed in the local papers and thousands came! The surprising turnout encouraged the committee to make the festival an annual event. Needing a name for the event, the committee solicited the community for ideas. Mrs. Toby Davis submitted the winning name, "Mountain Heritage Festival". Over the years, the festival has grown to 60-80 exhibitors and crafters, 18 food vendors and three days of live entertainment. 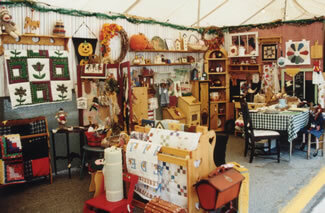 Over 10,000 visitors attend the festivities annually. This community event proudly promotes the heritage of its people by showcasing various craft demonstrations, past and present. 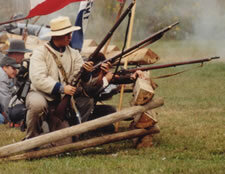 Take a trip back in time with an event that is truly entertaining and educational for everyone!